The mind-body problem has its origin dating back to when Plato identified the body as a material form and therefore exists in the material world only, but the human soul is from the world of ideas and therefore everlasting and immortal. However the mind-body problem is probably more popularly identified as a Cartesian argument on the idea of dualism -which is to say that the mind and the body are two distinct substance as oppose to monism -in the realm of senses as well as in physical existence the body and mind are in reality one substance. This past week, I had the pleasure and honor of an invitation from the Brooklyn-base artist Marianna Ellenberg to her studio in Fort Greene and there, I found the mind-body problem circling in my head as she kindly showed me her works. Marianna works mostly in photography, film and video. As we began by looking at her photographic works, I found her photographic images to be highly suggestive of the female body; but more like its inner workings than the all too overstated erotics of nudes. While I found her photographic work bearing strong visual resemblance to the corporeal, however what actually photographed here were not in fact any thing anyone would find inside of a human body. At least, I would hope not for they are mostly of synthetic man-made materials used for recreational purposes only. In this image below, there is inevitably the sense of one is looking inside of a womb or a spider web of umbilical cords. Coming back to the mind-body problem of which occupied my mind while looking at these works and trying to position what should take precedence, mind or body? Then it became quite clear that it was both the mind and the body that interested Marianna equally. There seems to be a tendency of oscillation between dualism and monism. Dualism in the sense that in these photographic works, she separates the body from the mind and isolates the elements of which allude to vital human organs. 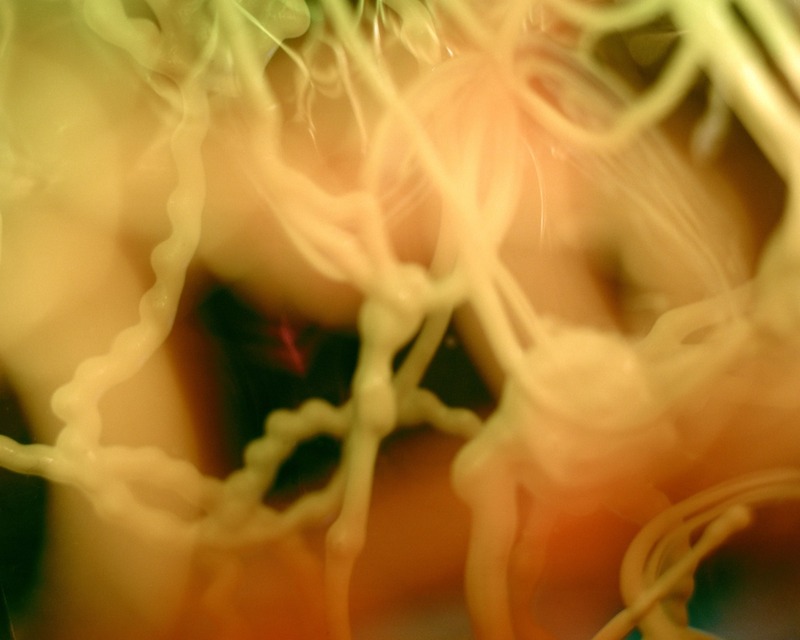 Monism in the sense that the question of the mind and how one's mental perception of the self in relation to the physical surrounding is just as prevalent throughout her film and video works. 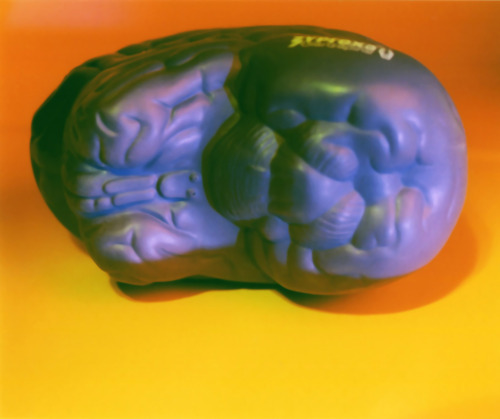 The above image of a plastic brain reminded of me the free marketing paraphernalia that my dad likes to bring home from his medical conferences. I have enjoyed receiving stuffed toys even in these days as an adult; especially when there were items brought back such as a felt-stuffed stomach (used for marketing a drug of which would cure stomach aches) to Styrofoam in shapes of a brain or a small fetus. With my unintended digression, this leads us closer to Marianna's interesting exploration beyond the corporeal, thus the mind portion of the mind-body problem. 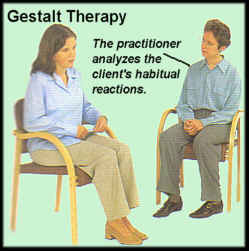 The image right above leaves little to free interpretation because the text tells it all very well-Gestalt Therapy. The goal of attaining a better and clearer sense of the self tends to be the goal for this kind of psycho-therapy. Although, (just on more digression) it did struck me as a bit odd when my then therapist asked me to role-play with myself, her hope was that I would eventually come to my senses but instead I think it had rather triggered an episode of biploarism soon after. But was it Foucault and Deleuze claimed that madness is really closer to the truth than say, obliviousness or the suppression of insanity? I don't mean this to the extreme, but I have the confidence that if you are reading this, you must be able to surmise the degree of madness of which both F and D was alluding to. While it can be hardly denied that madness should occur firstly in the mind rather than in the body; here in Marianna's films I recognize her quest to grapple with the inner struggle between the incessant desire for love while trying to retain the inner psychological composure of the integrity of the self (and hence the mind) through repetition. suf short 7min from marianna ellenberg on Vimeo. In the style of Structuralist filmmakers, Marianna spliced together images and re-composed a montage of visually unintelligible images but bridged all together cleverly with a rather high-pitched female voice-over (voice provided by Jennifer Sullivan) and along with interesting soundtracks that some might recognize from cult films such as A Clock Work Orange and so forth. This piece tickles the mind in such a sense with the expressions of agony and critique of extreme self-awareness and the inescapable reality of one's failure to minimize the personal agony and to reconcile with the contradiction of the attainable versus the unattainable desire. Jennifer Sullivan's voice being that it almost sounds child-like takes out the authoritative tone of one is being subjected to some kind of medical or psychological inquisition. In these selected works, the sardonic self-deprecation is prevalent. Here is also one my of favorite that addresses a certain medical condition but done with the key characteristics and essence of the Structuralist film style. 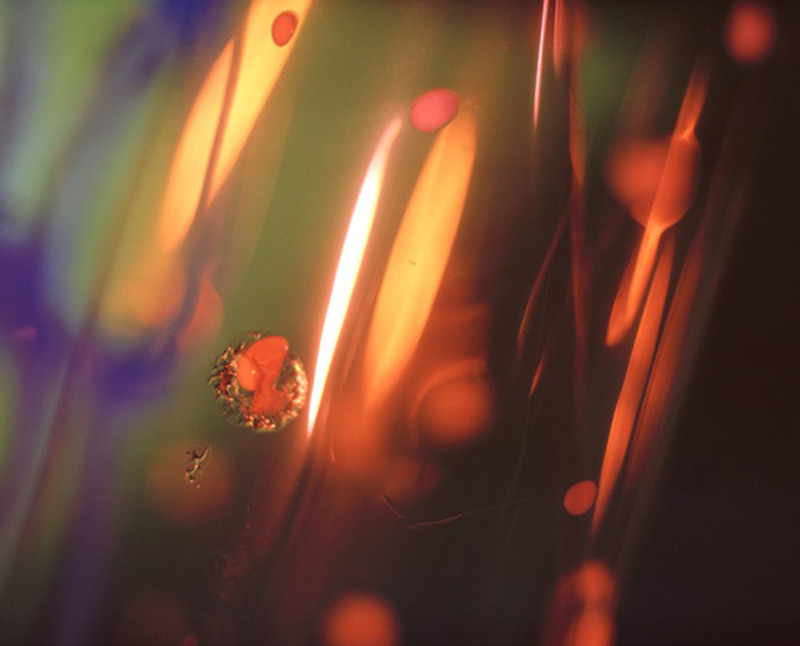 In these earlier pieces and including this one named Cut Snip Ooze with Sound, they convey a feeling as if one is watching a psychedelic film that probes the mind with a mild sense of nausea perhaps brought forth by the sound while being subdued with the poetic and sensuous movements. Marianna is currently co-directing a feature film with David Zuckerman. Here, she kindly provided the synopsis: “The Misadventures of Ariella Von”, traces the adventures of a teenage girl who runs away from her precocious Upper East Side religious prep school to find a life beyond kosher lunches and SAT exams. The Misadventures of Ariella Von combines elements of performance video with comedic skits and parodies the discourse of primetime teenage melodramas". MARIANNA ELLENBERG "Rehearsals" from marianna ellenberg on Vimeo. This is The Place, 2010 from marianna ellenberg on Vimeo.